For most companies out there, the highlight period of every year where they will make the most amount of money tends to always be the Christmas period. For this reason, a lot of focus is put around the end of the year to maximise the profits of the company before the new year kicks in (where sales tend to dwindle because no-one has money – hence why there are January sales). 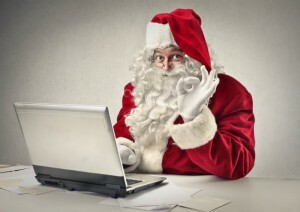 In terms of PPC, the question advertisers need to know is when to start their Christmas PPC campaigns. If they start them too soon, they will have hit a high too early on. Too late and they will not have maximised the traffic brought in from PPC. Here are a few points to take on board to help you decide when to start your Christmas PPC campaign. #1 When is too early? Every year, it seems that the build up for Christmas is getting earlier and earlier and earlier! A reason for this is because if the Christmas rush is the time of the year businesses make the most amount of money: they will obviously want to prolong it to benefit themselves by gaining more sales. However, starting an advertising campaign too early can have knock on effects. If you start too early, you may find that you have eaten into all your budget before you even reach December, preventing you from making the most out of the December Christmas rush! A lot more time and effort needs to go into longer campaigns since they will be up live for longer and will constantly need to adapt (whereas a December Xmas campaign can go live and come down Christmas Eve/Day). From my perspective, I think it is wrong to start any Christmas campaigns in November from an advertiser’s point of view. The Christmas shopping spree, for a lot of people, happens after Black Friday and Cyber Monday so that is exactly when I think Christmas campaigns should go live – before December, everyone is waiting in the mist for the Black Friday and Cyber Monday deals to flood the market. #2 When is it too late? The answer to this question is entirely dependant on what you are trying to sell. If it is a product, the biggest factor that will affect your campaign is postage delays. For this reason, it might be wise to start a week early if your postage time is 2-3 days. If you have next day delivery, then you can start the beginning of December. The most important point, though, to take away from such a campaign is that once you know the product cannot make it on time for Christmas Eve, stop running the campaign! Any traffic produced after this will be pointless since the product will not be able to get to Christmas on time (and to top things off, people may still think it can and be very disappointed when it doesn’t). So, if you have a 2 day postage delay from dispatch, stop your campaign around the 22nd December.